Micro Inn Technologies, Sheikhupura was established in private sector in 1999 and has been operating as Private Partner of Virtual University of Pakistan since 23 September, 2002 with over 900 students of Master Classes and a couple of hundreds of other disciplines. A new campus of Micro Inn Technologies has been opened at Shahdara Lahore which is adorned with excellent facilities and equipment. 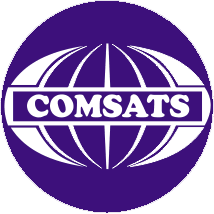 The third campus located at 7-College Road Civil Lines, Sheikhupura is authorized Virtual Campus of COMSTATS. The main objective is to impart high quality yet real-life applicable IT and business management education at universally affordable prices .It is inevitable that today's aspiring students and tomorrow's pioneers are educated in such a way that at the time of their stepping into practical life they are equipped with applicable knowledge of information technology along with successfully tested techniques of business management in order to lead the world.